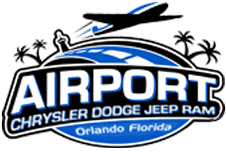 Airport Chrysler Dodge Jeep is a new and used dealership in Orlando, Florida that early awaits the opportunity to assist in your new car search. We have an impressive inventory of new models to explore, and if you're looking for a powerful ride that caters to your towing and hauling needs while also satisfying your comfort requirements, test drive a 2019 Ram 3500 now! Our knowledgeable team will review the impressive roadside assistance plan and powertrain limited warranty as well as any available add-on features you may be interested in! Trim options and to climb behind the wheel for some inspiring test drives! Our friendly team of professionals is eager to help you find the pickup you've always wanted, so don't hesitate to talk to us about your financing needs as well. If power is what you're looking for, power is what you'll get with your 2017 Ram 3500! Whether you opt for the 6.4-liter Hemi® V8 engine or the 6.7L High Output Cummins® diesel engine, you can rest assured your performance needs are well provided for. Further customize your ride by choosing either the six-speed manual transmission, automatic version or the Aisin automatic transmission. Add to that the rear auto-level air suspension and three-link front suspension, and you've got one powerful, comfortable ride on your hands! It's because of features like these that the new 2019 Ram 3500 can tow up to 35,100 pounds. But that’s not all, with the new 2019 model, drivers will take advantage 360-degree Surround View Camera for a safer towing experience; a bed lowering mode for easier trailer hookup; a cargo view system to keep an eye on all your important belongings. Our heavy-duty trucks are built for action, and our team members will gladly review this truck's capability features, including the benefits that come from the Tow/Haul Mode Select, the Ram Active Air® valve system, and the Trailer Harness Connector. What are you waiting for, make your way over to Airport Chrysler Dodge today! Thanks to the available Uconnect® 8.4 feature, you can turn your Ram 3500 into a 100% all leather seating command center, handling all your personal and business needs from the road. Take advantage of the SiriusXM® Satellite Radio to stay entertained and the Wi-Fi hotspot feature to stay connected wherever your adventures take you. Allow our team to review the Electronic Range Select, the built-in under seat storage spaces, and the upfitter switches on the Ram 3500 you are interested in, contact our dealership near Kissimmee, FL now! 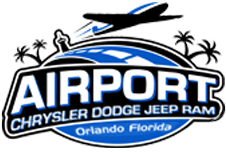 Shop our Ram 3500 selections online via our inventory system right now or make the trip over to Airport Chrysler Dodge Jeep in Orlando, Florida for a more hands-on experience today! We look forward to listening to the amenities you're looking for your truck to boast and are eager to introduce you to a variety of stylish, competitively priced options. Visit with our team today to learn more about this impressive truck!